When Martin Luther King Jr. spoke of his dreams for America in one of the most influential speeches in all of history, he knew how to incite action from his listeners. Not only was the content of his speech provocative, his delivery could have moved mountains. King challenged tens of thousands of civil rights supporters in Washington that day to move toward change and never give up. King so moved Americans of all races that they accepted the challenge back in 1963 and continue to do so today. Delivering this speech, King used classic call to action techniques to inspire and motivate. By analyzing King’s speech, business copywriters can discover an effective approach to motivate even the most resistant readers. As we celebrate his birthday, let’s take a look at what made his speech so inspirational. Love ’em or hate ’em, New Year’s resolutions tempt you every year. You may make them (and break them) faithfully every year, or you might be someone who gave up resolutions long ago. Do as you please with your personal resolutions to meditate (who has the time? ), to work out more often (who has the energy?) or to eat less chocolate (who has the willpower?). 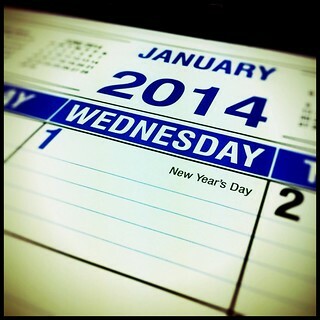 But don’t overlook business resolutions, and certainly don’t break them come Jan. 2. Before heading back to the office after the holidays, take inventory of your business writing. Changes in the past year mean your website and marketing materials need an update. So resolve right now to take stock of what’s working well and what needs a face-lift. Let’s take a look at a few areas you should reevaluate. Are You Forgetting Your Audience in Your Marketing Communications? I worked with a client recently whose business targets a few different audiences. For example, he collaborates with similar businesses, but he also works with clients directly. I was editing some copy he’d written to appeal to that second group. What I found, though, were words targeted at the first group. My client is an insider, so he didn’t think twice about using the industry lingo. What he meant was clear to him, and it would have made perfect sense to his collaborators. But the marketing piece wasn’t meant for that audience, and they wouldn’t be the ones reading it. It’s tempting to use the lingo because so much meaning can be wrapped up in one word. That one word can save a lot of space and shorten your copy. But it also can shorten the attention span of readers who don’t get it. They’ll tune out and move on – to someone who understands them. More visitors are probably getting to your site through the articles you publish there rather than coming directly to your homepage. According to an article on the Neiman Lab website (an article I found through one of my news feeds, not from visiting their homepage, by the way), the so-called side door – meaning an article or blog – is becoming more important than a site’s front door. Though this analysis focused on the journalism industry, the lessons learned can be applied to any business website.